Emergency Alert Network (EAN) is the worldwide leader in personal emergency notification. We Provide immediate notification to family and friends should a member of Emergency Alert Network become injured due to an accident, sudden illness, disaster or other emergency. We work hand in hand with police, fire, EMS, 911 and hospital emergency rooms across the country to ensure immediate notification for our members. Emergency Alert Network has also been endorsed by the American Red Cross and local police and fire departments throughout the United States. Becoming a member is easy. You just spend a few minutes completing a simple form telling us who you want notified, how to reach them, in what order you’d like notifications made and about any special information your caregivers will need to know, like family physician’s or specialists phone number. No matter where you go, we are with you 24/7. 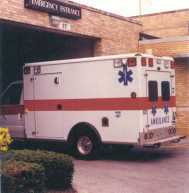 EAN is the worldwide leader in emergency contact services. Emergencies may happen at any time whether you are nearby or thousands of miles from home. We’ll find out about it and notify your personal emergency contacts wherever they may be. Emergency Alert Network provides medical information to Doctors or Hospitals when time is most important. As a member of EAN, you will have the opportunity to list any medical information that would be helpful to emergency personnel. This information includes blood type, current medications and pre-existing medical conditions. With medical information on file, our operators can supply emergency personnel with information that may be critical. This information can assist in the correct treatment of our members.